Where to start with this delightful wine? 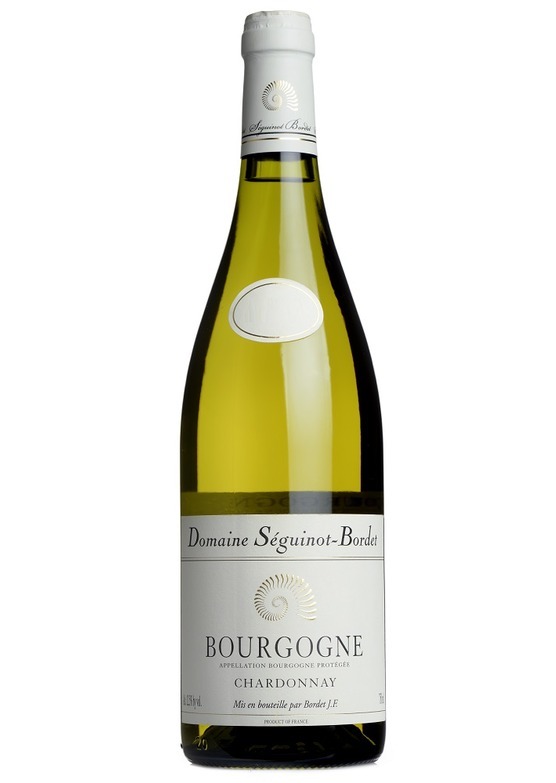 Produced in Chablis from grapes grown just outside the appellation boundary, Séguinot-Bordet's Bourgogne Blanc is eye-catching and stylish, opening with a mouthwatering saline lift and an amalgam of luscious orchard fruis fruits and zingy chalkiness. On the palate there is a continuation of zesty mineral spritz, fresh crushed lime juice and the pin-point purity of unoaked Chardonnay fruit. Great ripeness, body and length together with superb focus; setting this wine apart from so many also-rans at this unbelievable price point. Great density of ripe pear and yellow plum flavours complete this masterclass of Burgundian understatement. "If you favour Chardonnay thats slightly more restrained and more classic in character, then you will love the 2017 Domaine Séguinot-Bordet Bourgogne Chardonnay. Based in Maligny, the Séguinot family has been making fine Chablis since 1590 and if the grapes used to make this wine hadnt been grown just outside that hallowed appellation, wed be looking at a much heavier price tag. Its Chablis in all but name though: steel-fermented, crisp, clean and pure with a firm mineral core." - Jonathan Ray, The Spectator. Jean-François is a highly talented winemaker, producing impeccable, natural wines that demand attention. The majority of Jean-François’ wines are fermented and aged in stainless “cuves” as it is his wish to allow fruit flavours to express themselves in the purest form, without the influence of oak. The delicious village Chablis, which epitomises all that is so attractive in the wines of the region, along with his Premier Cru and Grand Cru wines, which sell-out year after year.